Discussion in 'eBay / Auction Talk' started by Spitfireace, Aug 10, 2018. Reposting this in the Auction section....does this look kosher to you? This is now my Irvin from 1944 most likely devon fleece. A small size. maybe even too small for me as I'm a 38 short, but a nice condition jacket. Leather is great, and fleece is good especially inside the jacket. Had to have the belt added by Aero Leather in Scotland, as it was missing. As well as the collar strap, but other than that.. the main zip. Sleeve zips are AM Lightnings original. Treated it with Fiebings as it is a little dry even though described as "supple". Very nice jacket over all. Thinking of cleaning the collar fleece as it makes my nose twitch. I would like to thank Greg at Aero Leathers as well as Ken as always. Keeping the faith. blackrat2, Grant, bn1966 and 3 others like this. The leather is in no holes, and no rips/tears repairs. Very nice shape. Yes, it fits fine. I wouldn't be able to get battledress under it though as they did. It fits with a regular shirt under it. I don't think I would move up to a bigger size though, as the sleeves would probably be too long. I'll work on getting a fit pic. Get the next size up and shorten the arms. What a beauty, congrats Spitfireace. That was certainly a good price you picked that up for! Looking at the measurements on the auction listing it would seem to be a size down on mine, which measures Chest = 21"/Shoulders = 19"/Length = 23"/Sleeve 22½". D97x7, Pilot, Micawber and 3 others like this. Some replica cost more in the same condition. After restoration the cost is about what an Aero repro costs, but a fair amount less than an Eastman. Less than half the cost though of Eastman's Devon fleece copy which is their most expensive. There's nothing like the real thing though. These jackets have a limited use whether original or repro as some here have said. I've been on a few walks around the neighborhood with it, but I can't really see wearing it out about town. 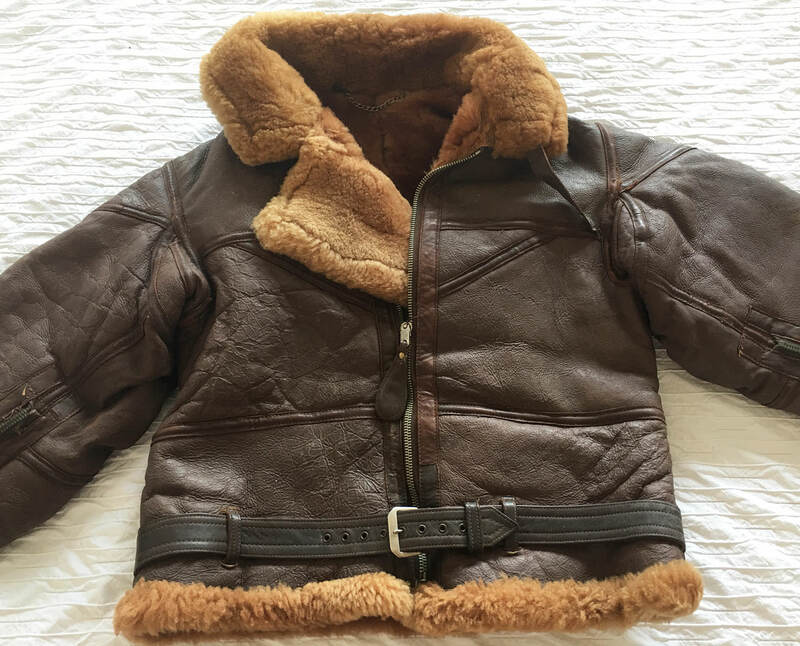 It's something I've wanted since I was a kid though as they are probably the most iconic flight jacket, particularly if you live in a Commonwealth country. Pilot, D97x7 and taikonaut like this.